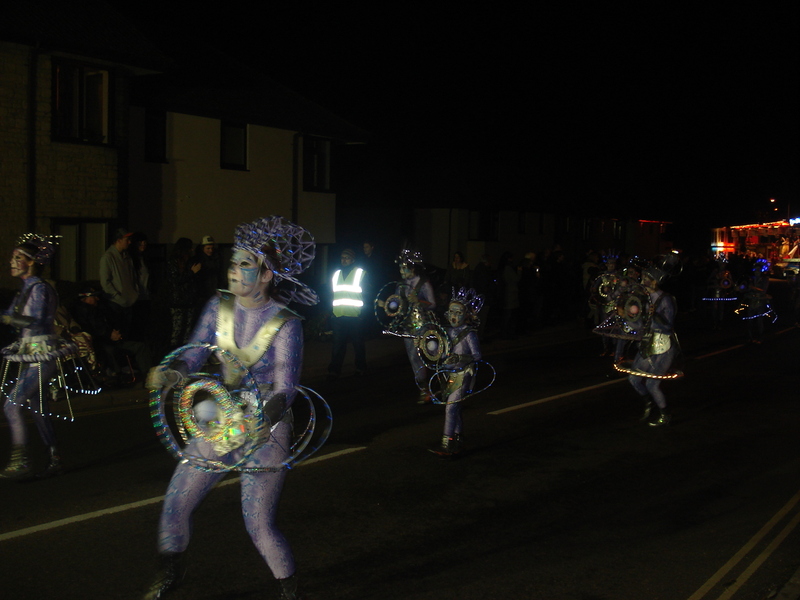 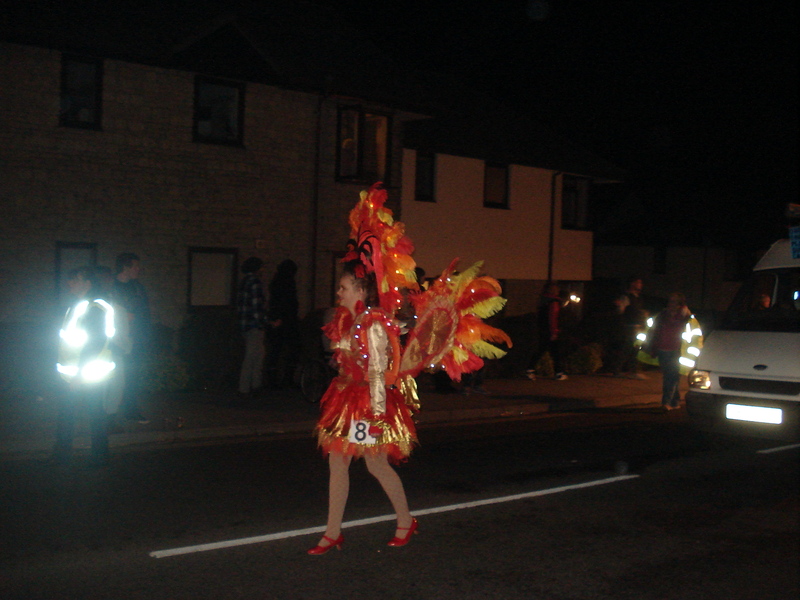 Saturday evening was carnival in Chard. 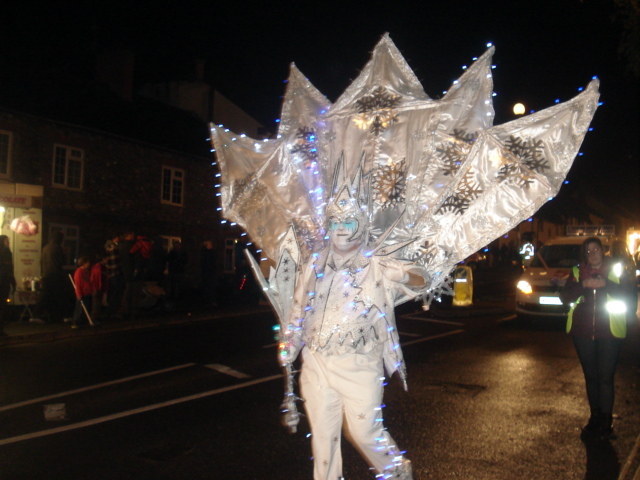 We were not used to this sort of carnival when we lived in the south east, but it is big in the south west. 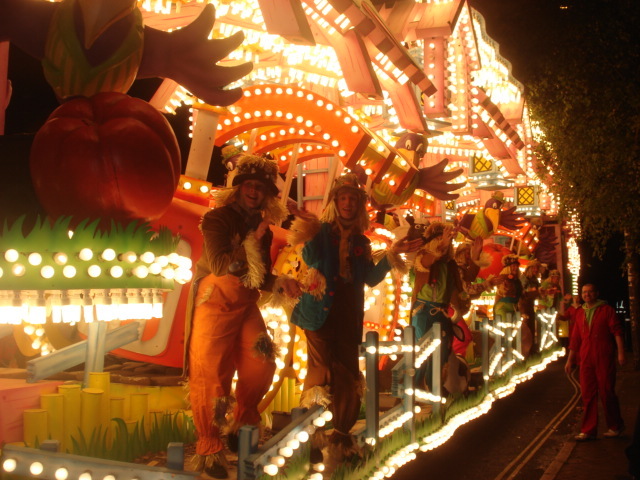 Carnival happens at night, when it is dark and the floats are lit up with hundreds of brightly coloured bulbs and the most elaborate floats. 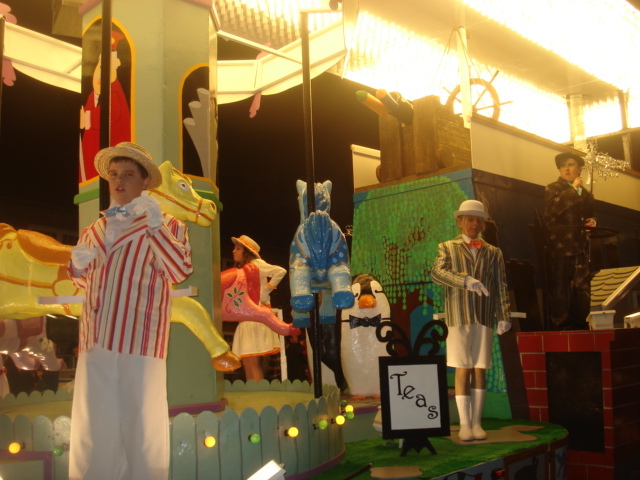 There are carnival clubs here that must work on set and costumes all year round in preparation. 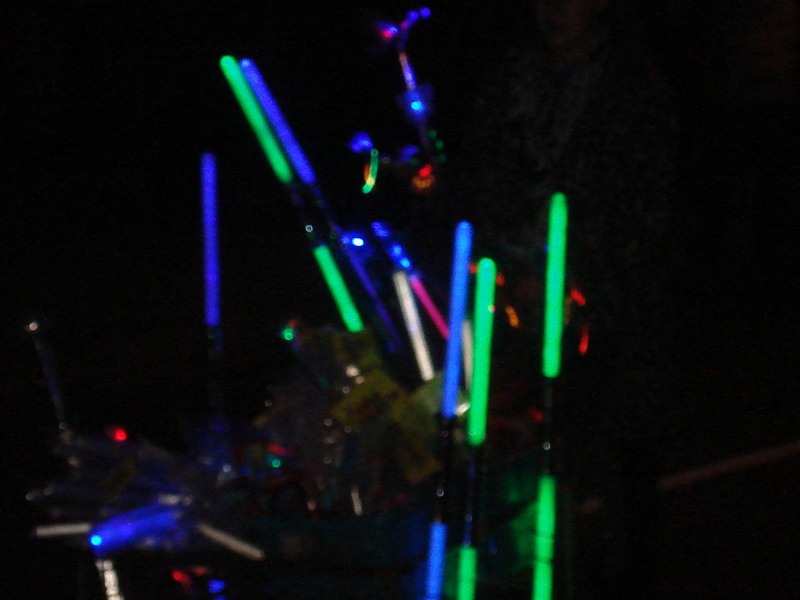 It all starts with the sellers who are touting their brightly coloured light sabres and whirlygigs and many other items that light up the night. 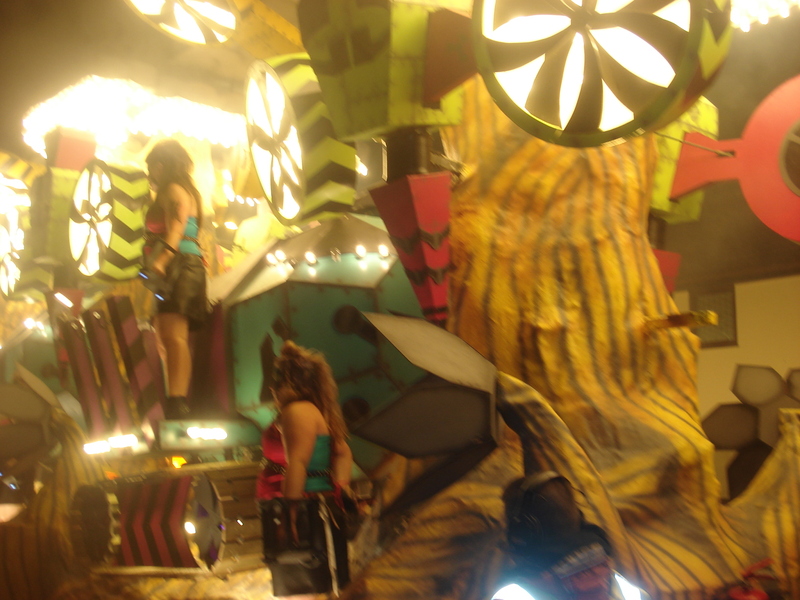 Then at last you hear the music blearing out and know that the carnival is on its way. 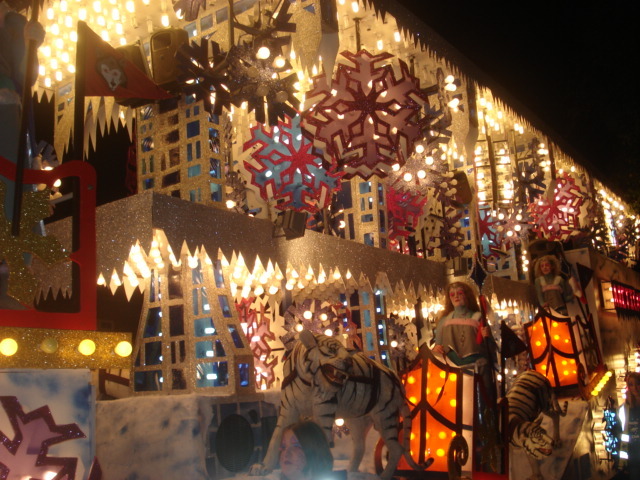 Some of the floats are 3 trailers long and absolutely fabulous. 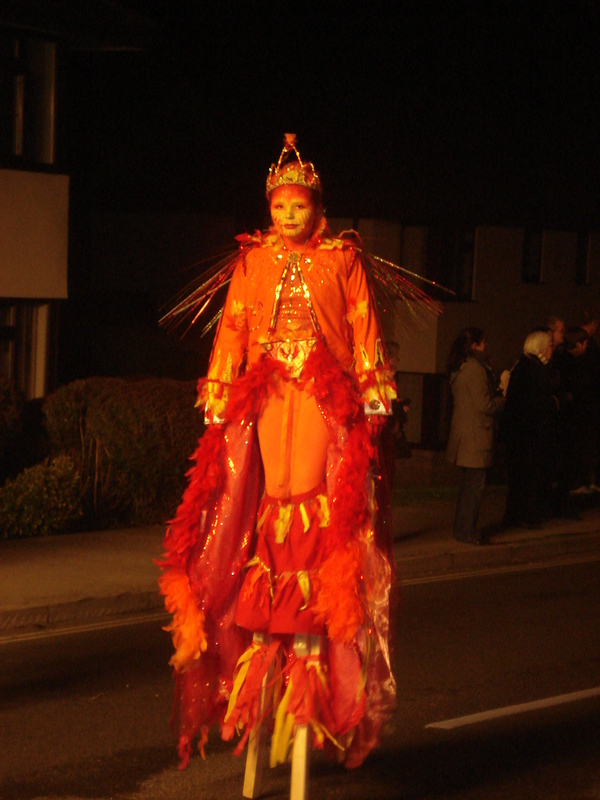 Then there were people dressed up in colourful costumes walking along as well as the carnival queens and princesses. 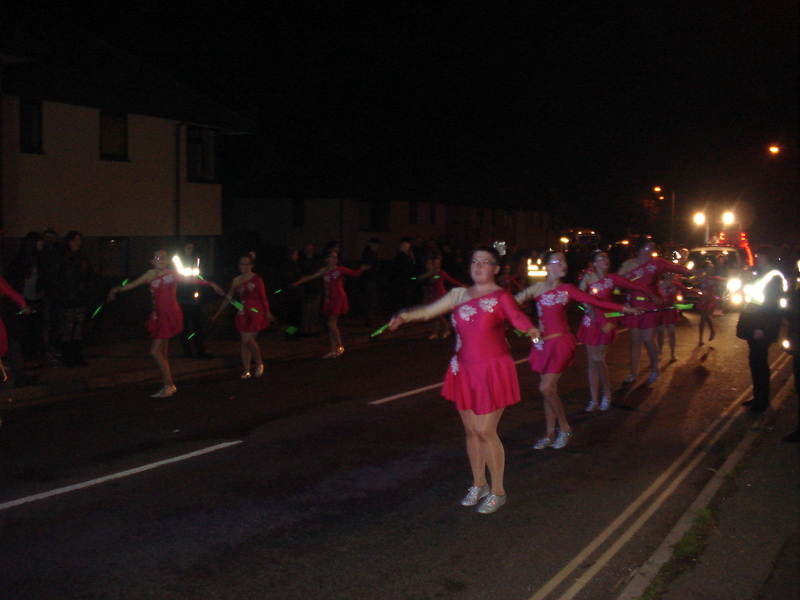 Several teams of majorettes took part, dancing their way along the streets, followed by a trailer showing off all their trophies. 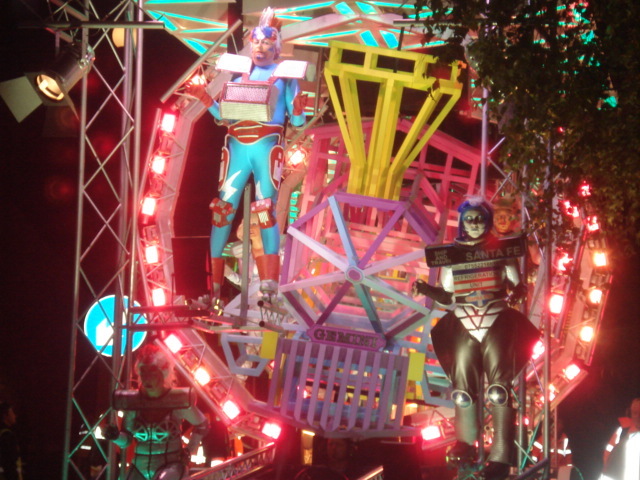 All in all a great show. 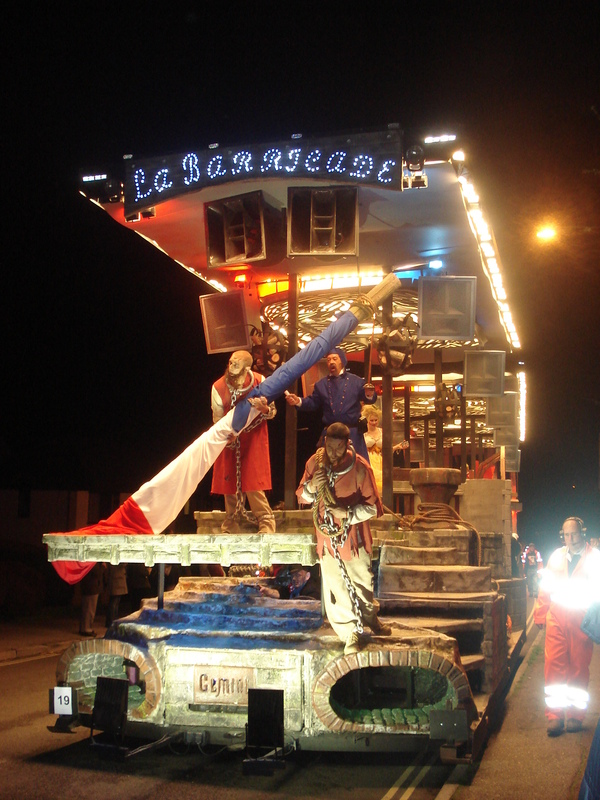 It’s carnival season down here at the moment and carnival goes from town to town at different weekends. 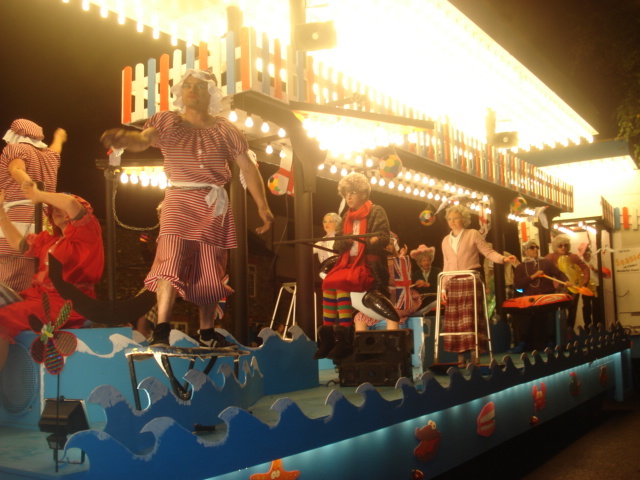 If you want to come and see then we still have some vacancies in the B&B in October so contact us for more details. 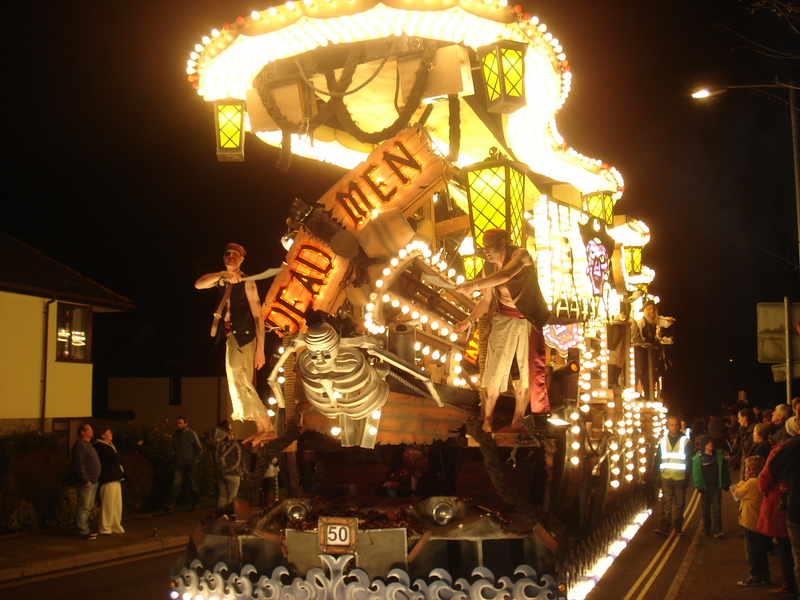 October is the time for carnival down here in Somerset. 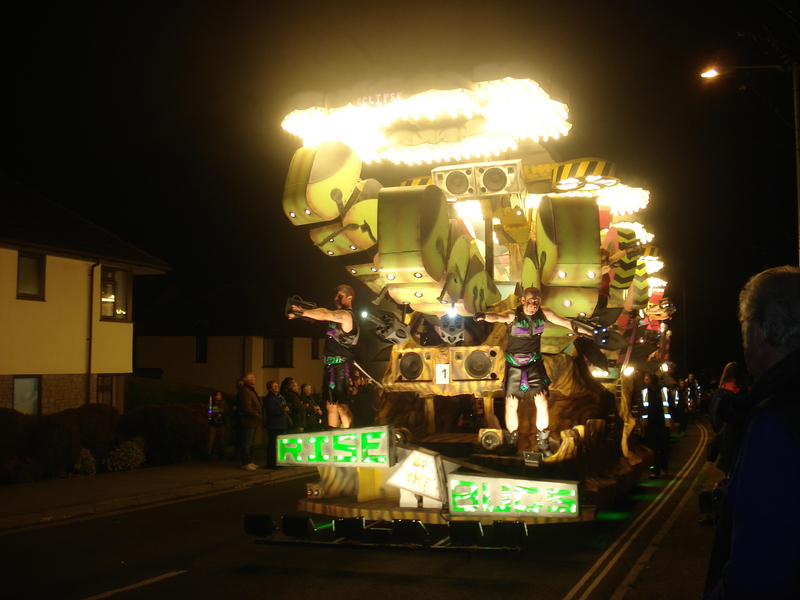 When we first moved here I thought it was a bit strange to hold carnival in October, as I am more used to carnivals being held in the Summer, but as soon as we went to one I realised why they are held when the evenings are dark. 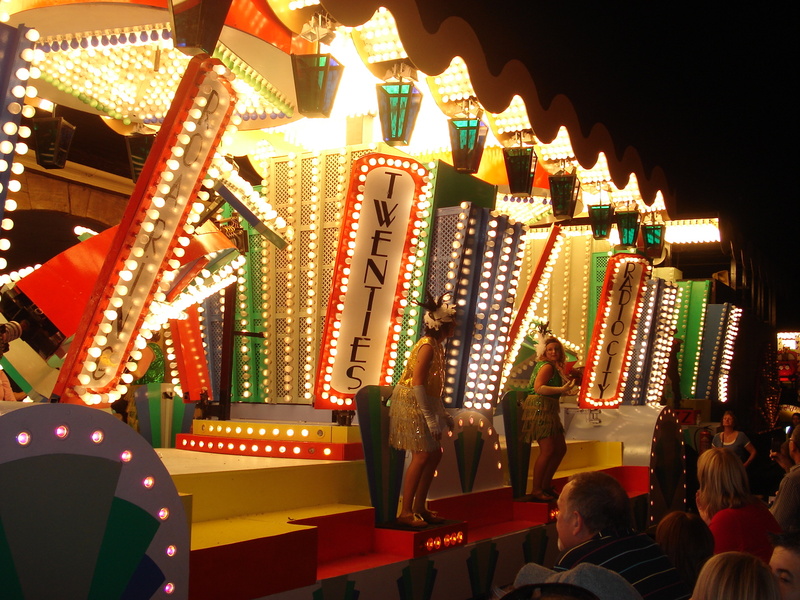 It is so the hundreds of lights on the floats really show up. 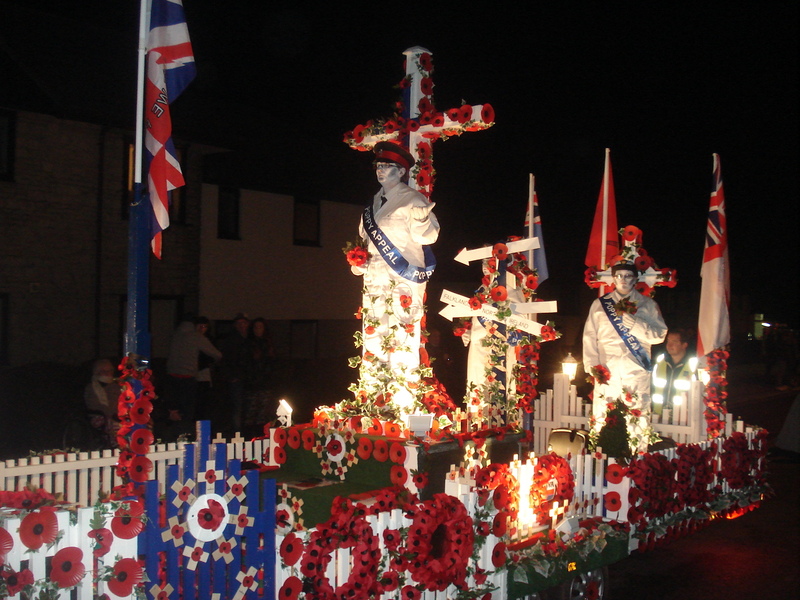 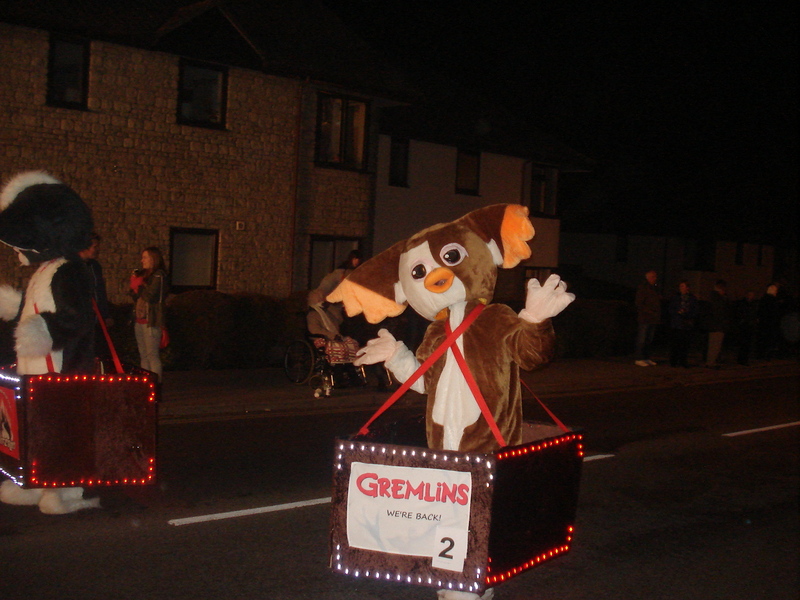 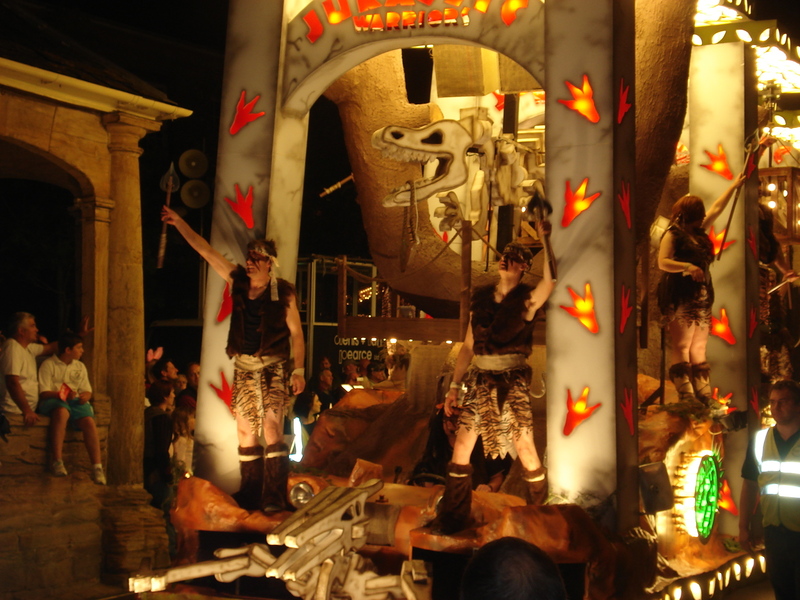 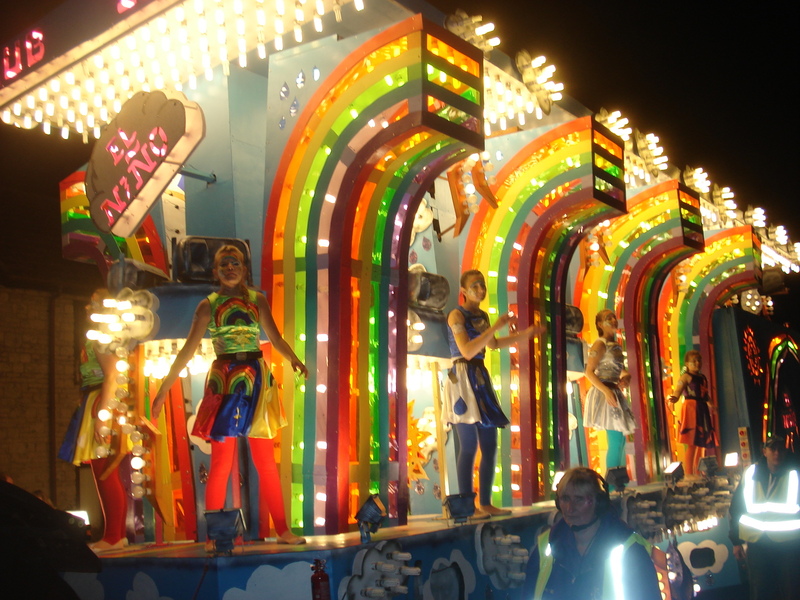 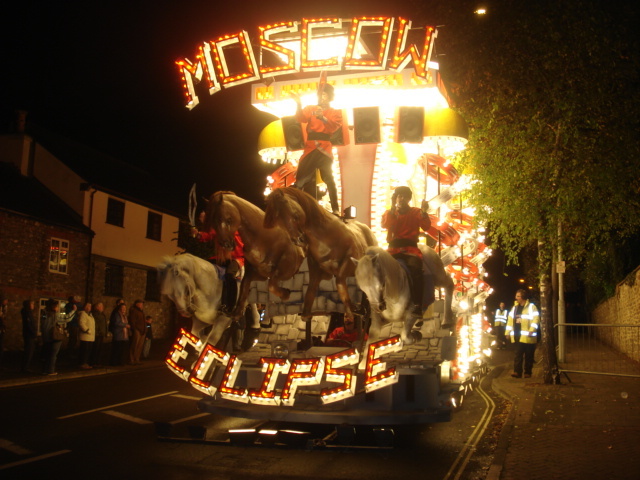 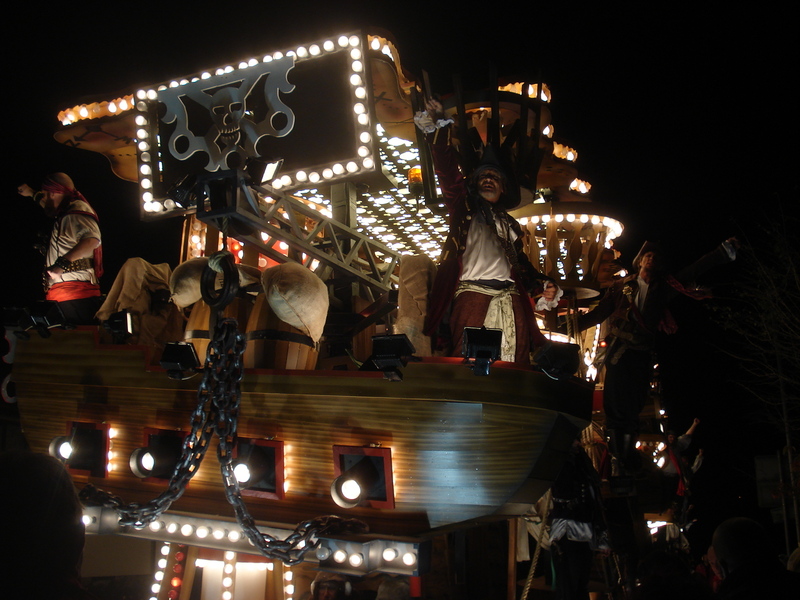 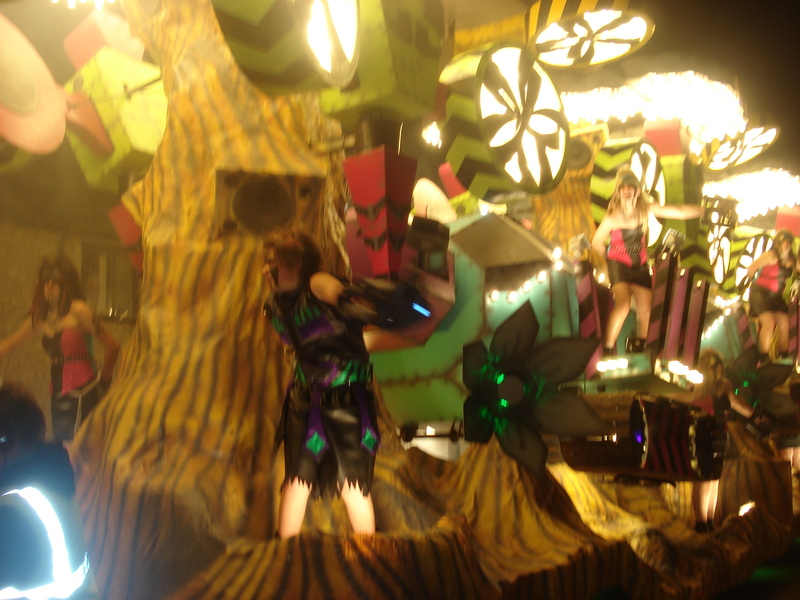 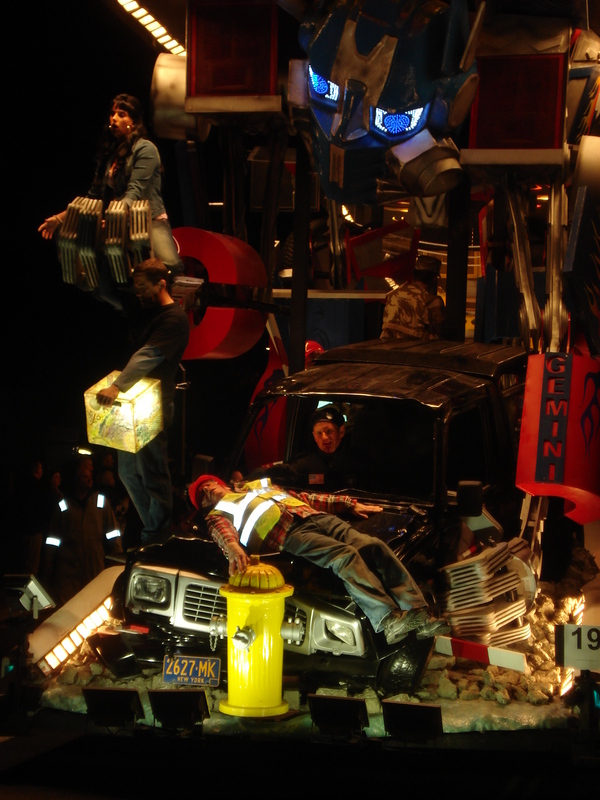 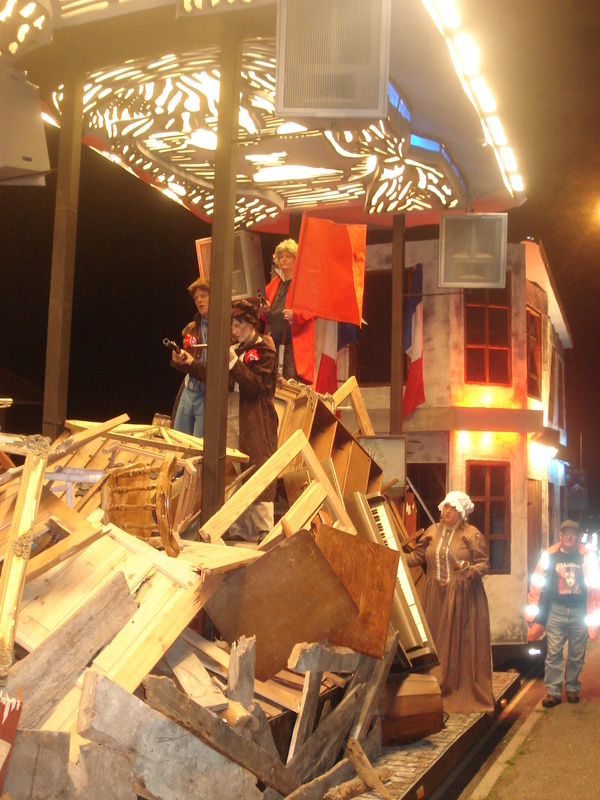 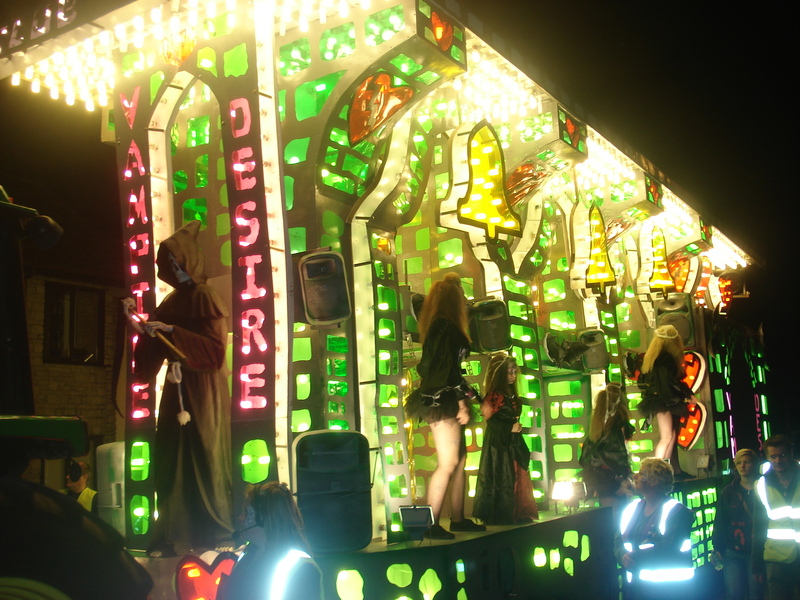 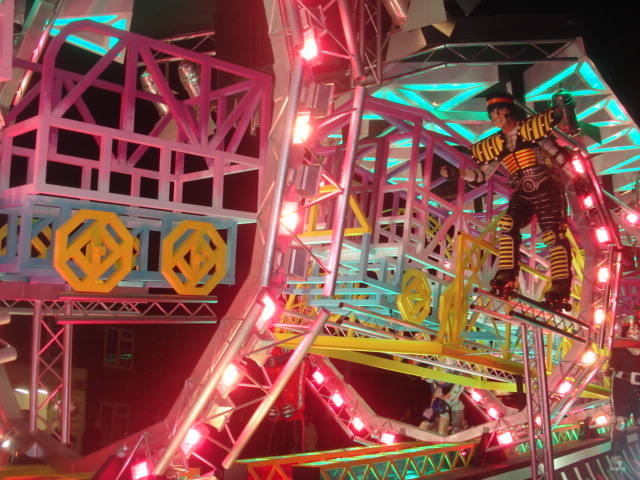 There are carnival clubs that fund raise all year round in order to put on the most magnificant floats, so brightly lit by a fairground generator that follows each float. 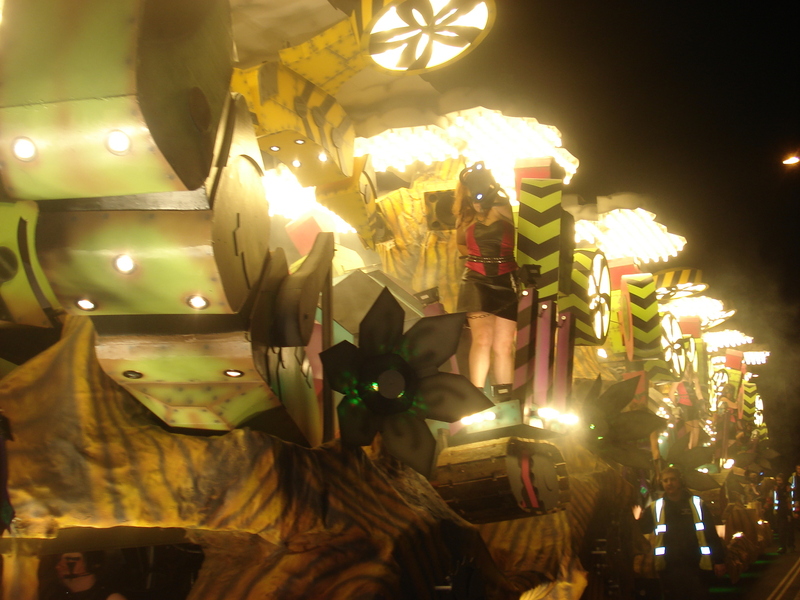 It’s an amazing site. 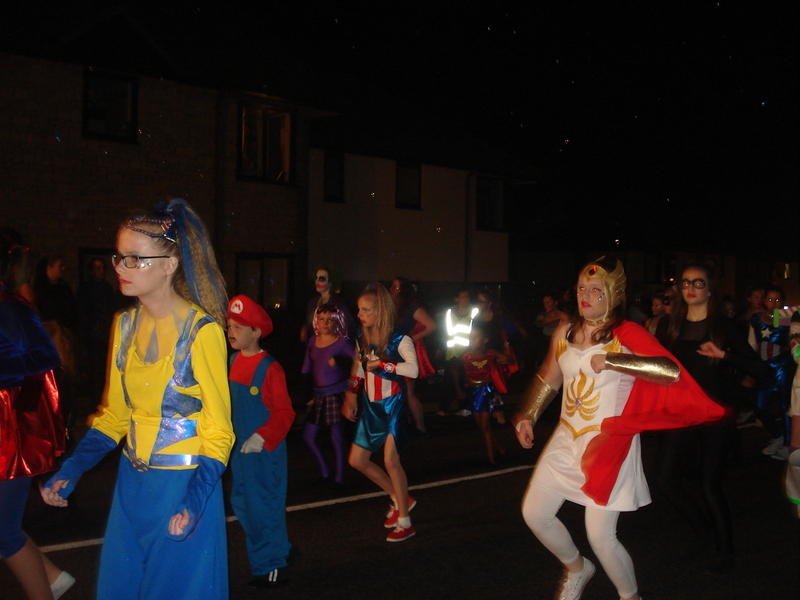 Here are just a few photos from Saturday evening. 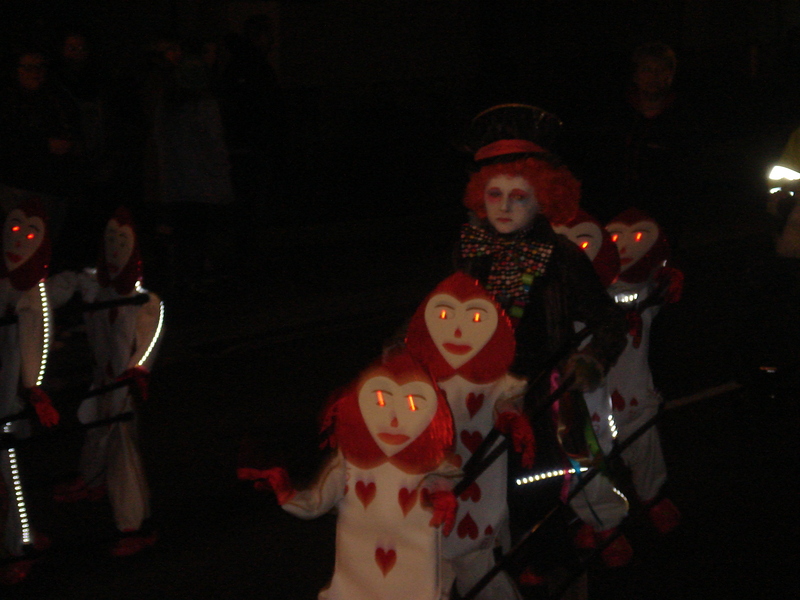 There were also majorettes and people in fabulous costumes walking along. 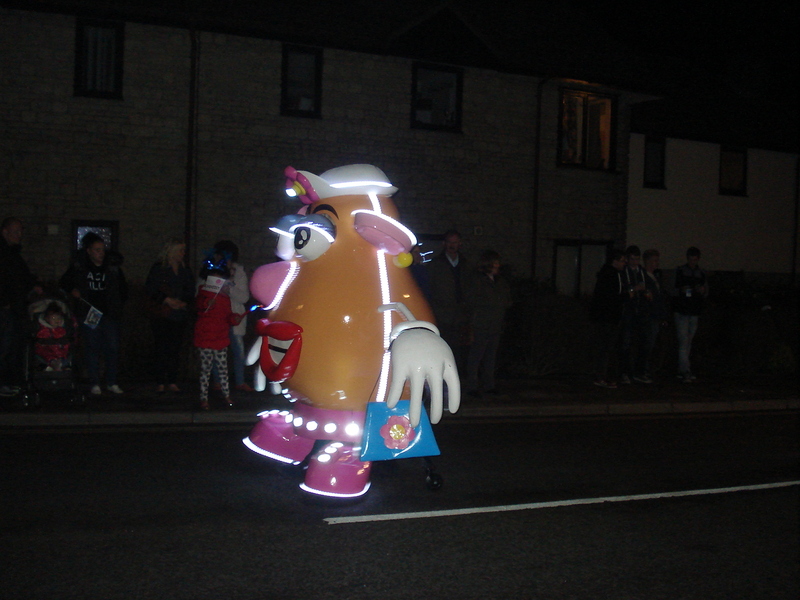 All the money raised goes to charity. 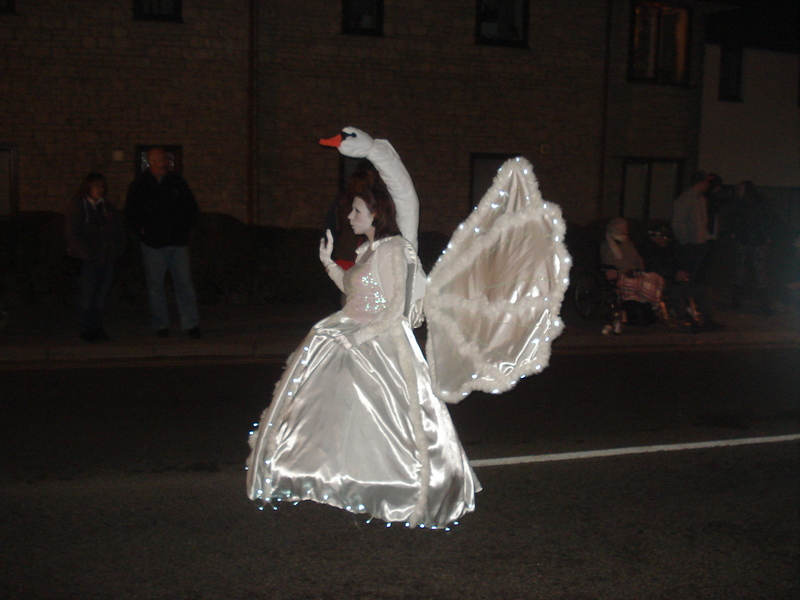 We were all lucky the rain held off and we were able to enjoy an hour of great entertainment.